The iPhone 8 Plus already has powerful cameras for livestreaming and crisp video captures. The iOgrapher Filmmaking Case allows you to use lenses, lighting, and microphones to record better quality video. It has handles to record steady shots. 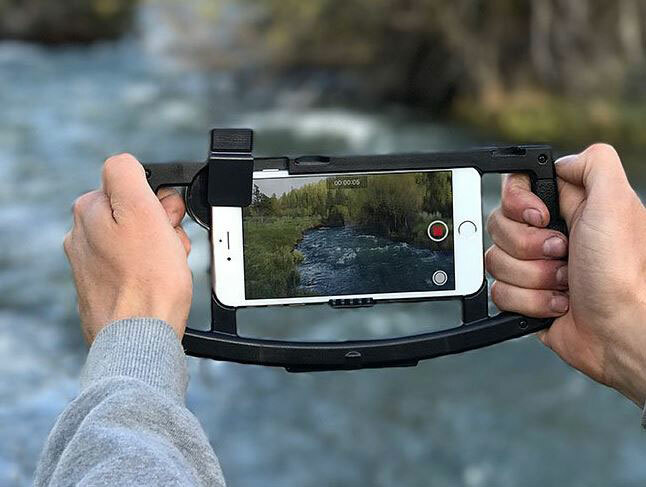 The iOgrapher case has a clip system that lets you attach your device quickly. Its ¼ 20 bottom thread allows easy attachment to tripods. 2 cold shoe mounts are available to attach lights and microphones.